So I was looking for something to watch last week via Netflix when Jessica Jones pops up. I love Krysten Ritter (especially in Don't Trust The B in Apt 23) so I was curious. I am not a comic book reader - though I do enjoy comic book shops and a few independent comics so I was not sure what to expect. I have to say this show is great. I am at the mid point in season 1 and without comic knowledge I can easily follow along. 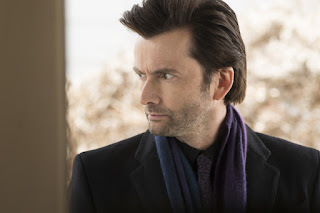 What draws me to the show and why I am taking time to blog about it is Kilgrave. I have read a few postings about the show and people's views on consent, I get that and think people have went into great detail about it so I do not feel the need to do so here. I want to talk about Kilgrave and mental illness. First Kilgrave scares me more than any horror movie monster ever could. Here is an average (I am sure some would say handsome) dude that has the ability to get into your mind and make you do whatever he wants. That is scary enough but what makes my skin crawl when Killgrave is on screen manipulating people to do as he wants is how close it hits to home. For me Kilgrave is OCD. Kilgrave is every intrusive thought that pops into my mind against my will. Every thought that makes me question my sanity, shakes my core, that gives me fear. I do things because something tells me things will go wrong if not, so I do them. My mind clears and I am left with shame. Kilgrave mimics what I believe a lot of of us with mental illness feel. Day to day we face our own personal Kilgrave. We try to hide, we pretend it is not there but it is there waiting. We see Jessica fight PTSD brought on by Kilgrave in two main ways, stuff she learned in therapy and drinking. Again I think a lot of us can relate. We cope with what is in our heads in healthy and sometimes unhealthy ways. We see someone fight her demons in a relistic way that film often glosses over in this series. I appreciate that! 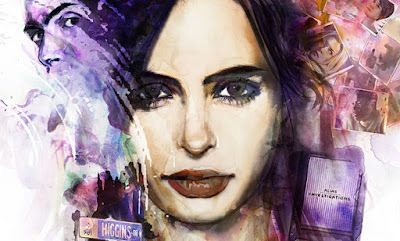 Even if you are not into comics or super heroes I think the show is a must watch. Strong female lead and lots of room for thought!